Filing for bankruptcy is a tough decision to make, but it may be the only way to get out of serious debt. Whether you file Chapter 7 or Chapter 13 bankruptcy, you will have a blemish on your credit for at least seven years, which may make it tough to get a mortgage, credit card or auto loan. The latter, however, is possible with RightWay’s help. Personal bankruptcy is a way for debtors to clear their liabilities and get a fresh start in rebuilding their credit. There are two main versions for individuals – Chapter 7 and Chapter 13 – and each has its own impact on your ability to get an auto loan. Filing Chapter 7 bankruptcy is a full wiping of the slate, of sorts. Using this version of the Bankruptcy Code means your unprotected assets, which generally includes everything except your house, appliances and clothing, are sold to pay down the debts that you owe. Any remaining debt is cleared from your credit, and the creditors cannot take collection actions against you. The Chapter 7 process is generally completed, or discharged, after about six months. Chapter 13 bankruptcy is a restructuring plan that uses a trustee to organize all your debts, create payment arrangements and pay off a negotiated portion of your debts. You will no longer have any communication with your creditors, as they can only speak with the appointed trustee. You pay the trustee an agreed-upon monthly fee, and he or she uses this fee to pay all your debts. Unlike Chapter 7, there is no liquidation of your assets. The Chapter 13 route is generally longer, as it can take up to five years to complete the payment plan. At that point, it is discharged, and the creditors cannot take any collection action against you. 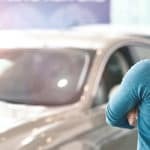 Can I Get an Auto Loan During Bankruptcy? Yes and no. According to the law, you cannot take on any additional debt until after the bankruptcy has been discharged. However, you can petition the court to lift this restriction in extenuating circumstances. For example, if your vehicle broke down, and you need a loan to purchase a new vehicle, the courts may permit it. As experts in matching buyers with auto loans during bankruptcy, RightWay can help you secure an auto loan during bankruptcy. Stop by one of our dealerships to learn more about this. Once your bankruptcy is discharged, you are free to take on whatever debt you like. That said, you may still have a difficult time securing traditional financing, as bankruptcy, even after discharge, puts a negative mark on you credit for at least seven years. This is where RightWay can help you out. We have relationships with more than 20 lenders that specialize in all types of financial situations, including bankruptcy. Stop by and speak with one of our specialists to find out exactly how we can help get you the car loan you need. 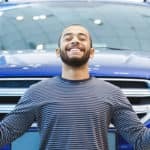 Get approved and drive away in a new vehicle today! 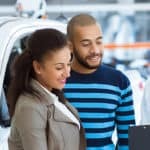 What’s the Most I Can Borrow With Subprime Auto Loans? 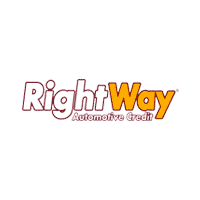 RightWay Auto Sales	, .